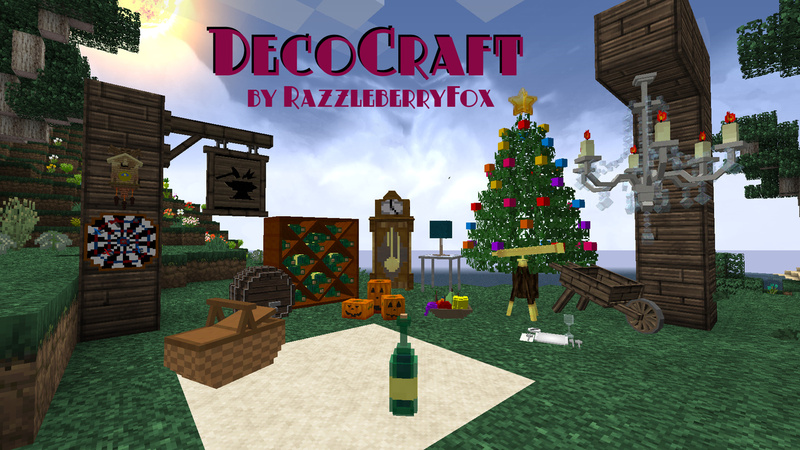 The DecoCraft is made up of objects designed for aesthetic purposes, all in an attempt to make your house, castle, town, city, or whatever creation you have made into a more real, living, natural looking place. The mod has over 300 models to choose from, and more are added all the time. To make the items you need decoclay! It comes in 3 colors (red, green and blue). You can get decoclay by defeating enemies or just setting up a farm!